Buying a car is made easy when you choose Baxter Ford. We provide you with a simple, stress-free experience when you shop at our Ford dealership in Omaha, NE, helping you to make the right decision for your lifestyle and budget. Our Ford finance experts will take the time to learn more about your needs, and they’ll be happy to answer any questions you may have about buying a car. Wondering what the main differences between buying and leasing a new Ford are? We’ll walk you through the pros and cons, guiding you in the right direction! 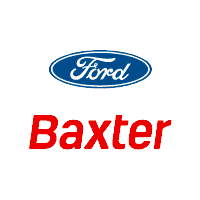 Check out the Baxter Ford finance specials and lease offers to save big on the car, truck, van or SUV you want. Lease a new Ford F-150, finance a new Ford Escape SUV or buy a new Ford Focus today at Baxter Ford to get the reliable transportation you deserve. Apply for Ford credit online to get started, use our payment calculator and view our trade evaluation tool to see how much you can sell your car for. The Baxter Ford finance team is ready to get you the keys today!